Mouse anti Human CD154 (Soluble) antibody, clone 2A3 recognizes the soluble form of CD154, otherwise known as CD40 Ligand/TRAP, a ~32 kDa glycoprotein and member of the TNF family, which is specifically expressed on activated, but not resting, CD4+ T cells, dendritic cells (DCs), B cells and macrophages. CD154 binds CD40, and acts as a key co-stimulatory molecule through the activation of antigen-presenting cells, and as a regulator of the generation and functional properties of Th1 helper cells. CD154 exists in both a membrane-bound and soluble form, the latter of which is generated through proteolytic processing by a matrix metalloproteinase (MMP), in activated cells. The binding of CD154 with its receptor CD40 is vital for many biological processes, including Ig class switching, germinal centre formation and the survival of CD40+ B cells, B cell proliferation in the absence of co-stimulus, the production of IgE in the presence of interleukin-4 (IL-4), and also in the production of pro-inflammatory cytokines, MMPs, prostaglandins and adhesion molecule upregulation, in non-immune cells.  Mouse anti Human CD154 (Soluble) antibody, clone 2A3 recognizes the soluble form of the protein. Recombinant human soluble CD154 conjugated to BSA. Spleen cells from immunised Balb/c mice were fused with cells of the myeloma Sp2/0 cell line. Pietravalle, F. et al. (1996) Human native soluble CD40L is a biologically active trimer, processed inside microsomes. J Biol Chem. 271 (11): 5965-7.